Toothaches are never fun, especially when the patient is a child. And, as a parent, you never want to see your kids in pain. 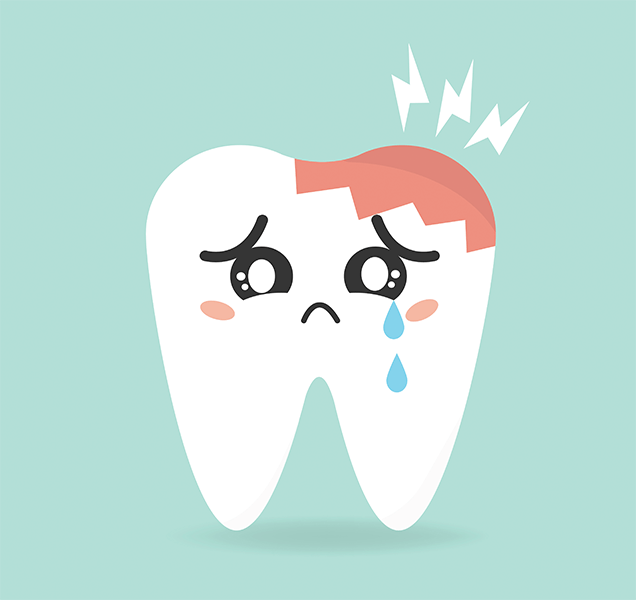 Unfortunately, toothaches are common in children. And, often the first thought is that the pain is a result of a cavity. However, that is not always the case, as there are other causes of toothaches to consider. Read on to learn other reasons why your child may be experiencing tooth pain. Check your child’s teeth for swollen gums. Reddening or swelling of the gums can be signs of a food particle that is lodged. If food seems to be stuck in-between the teeth, use floss to see if the particle comes out. Have your child brush and floss their teeth as you watch to ensure proper technique. Another cause of toothaches is teeth grinding. Young children to teens can grind their teeth, especially while they are sleeping. Teeth grinding, also known as Bruxism, can lead to tooth pain, neck pain and jaw pain. Additionally, teeth grinding can result in chipped or cracked teeth. If you have heard your child grinding their teeth in their sleep and they complain of tooth pain, have a dentist take a look to see if grinding is the problem. Orthodontic appliances, such as braces and retainers, can cause teeth pain in children. While adjustments are underway, aching pain can result from the tightening and movement of the teeth. This type of pain will usually go away after a few days. If the pain becomes too uncomfortable for your child and continues long after an orthodontic adjustment, contact the orthodontist to have an exam to find relief. These are just a few examples of the causes of toothaches. Interestingly, cavities are not always the answer or the issue. Whenever teeth pain is present, make sure to call and make an appointment with Tooth Fairy Smiles. Finding the cause is the top priority to ensure proper health. If you have any questions, please contact us today. Our friendly staff is here to address any concerns about your child’s dental health. Why Is Chewing Ice Bad for Teeth? When Should Your Child Visit the Orthodontist?